It has always been an overwhelming feeling of joy, for me to pluck whatever eatable produce I get from my plants. Beyond flowers, I do grow some vegetables and stuff like that, once in a while. 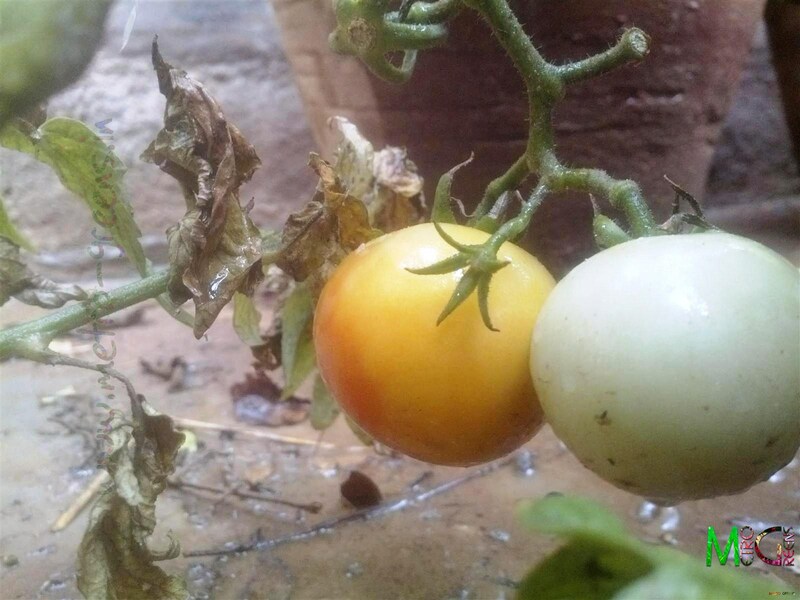 Around a fortnight back, I did a post showing some unripe tomatoes in a tomato plant in one of the pots. Since then, most of the tomatoes have ripened, and some of those have been plucked too. 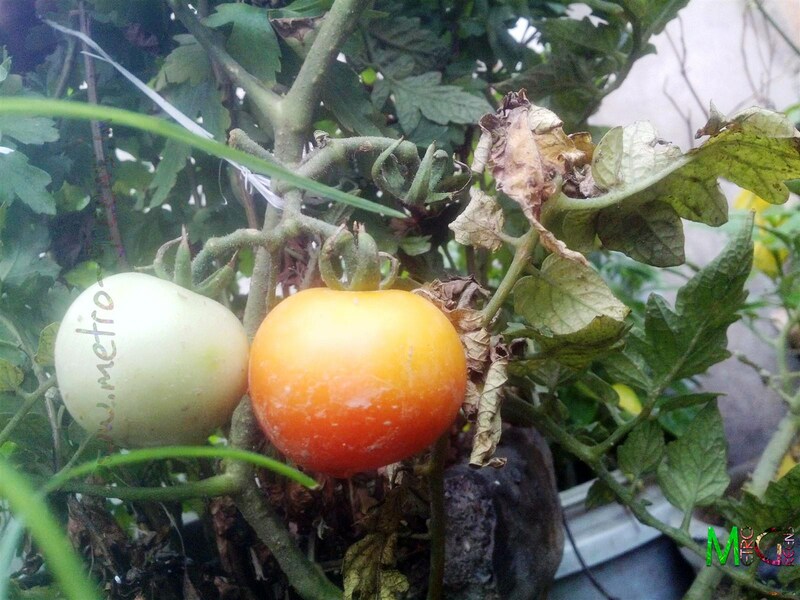 In this post, I'll be sharing with you all a few shots of these ripened tomatoes. The ripening is taking place individually, so, I am plucking the tomatoes individually. Here are some shots of ripened and unripe tomatoes, that, I captured at different times. For now, I can occasionally relish the tomatoes, mint leaves and green chilly chutney, with all the ingredients growing in pots on my rooftop. A yummy pair of tomatoes. The colour has changed from yellow to orangish. 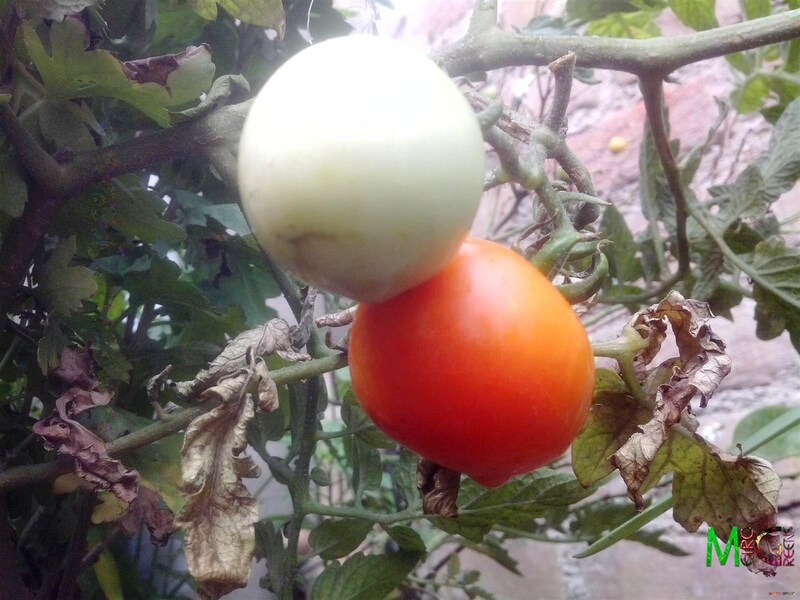 A yummy pair of tomatoes. See the colour of the red one. It's now ready to be plucked. It's mid-summer, but, for sometime now, here in Delhi, we have been seeing the nature, somewhat lenient on us, and we've been getting rains almost everyday in the evening and overnight too, at some occasions, thus making the weather quite enjoyable, and thus, Delhi hasn't received its complete share of unbearable heat till now, this year. The pleasant weather, coupled with an unplanned visit to one of the gardening suppliers I regularly visit to, saw me get some white lily bulbs. Will be doing a post on these in the upcoming days. Till then, Keep trying and HAPPY GARDENING!